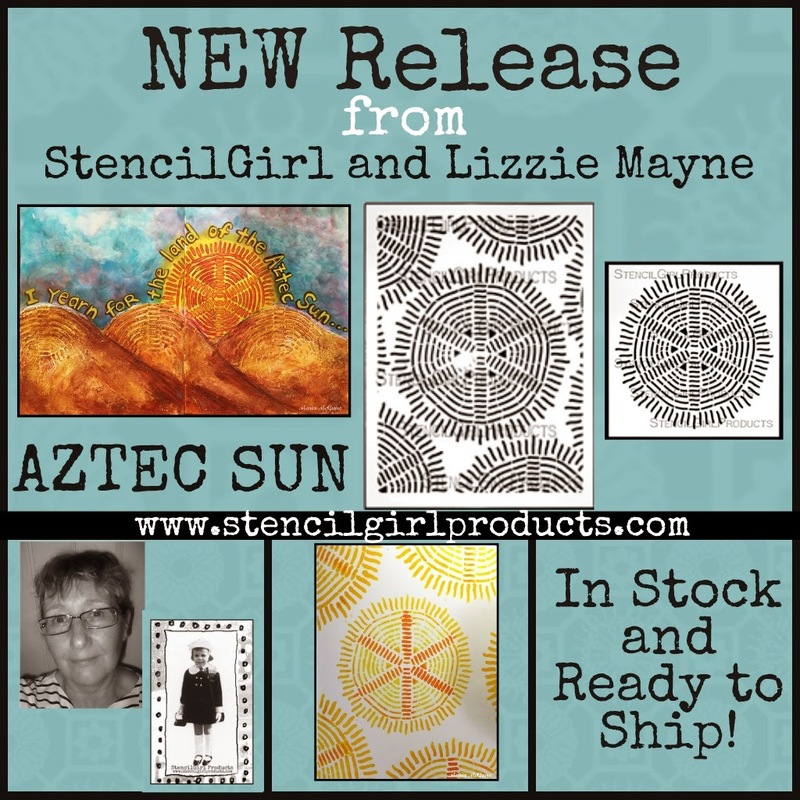 Maria here today to show you two new stencils from StencilGirl Artist Lizzie Mayne! 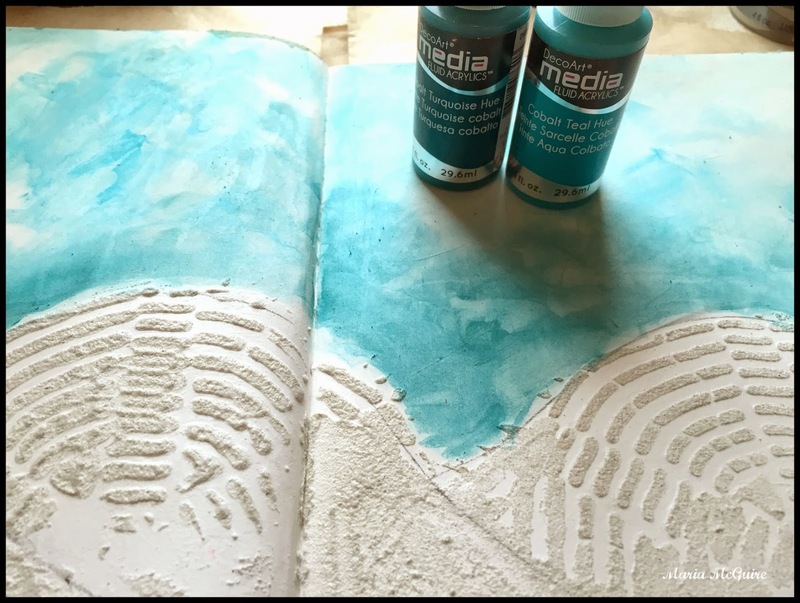 I had some fun in my Art Journal to show you what they look like when stenciled. 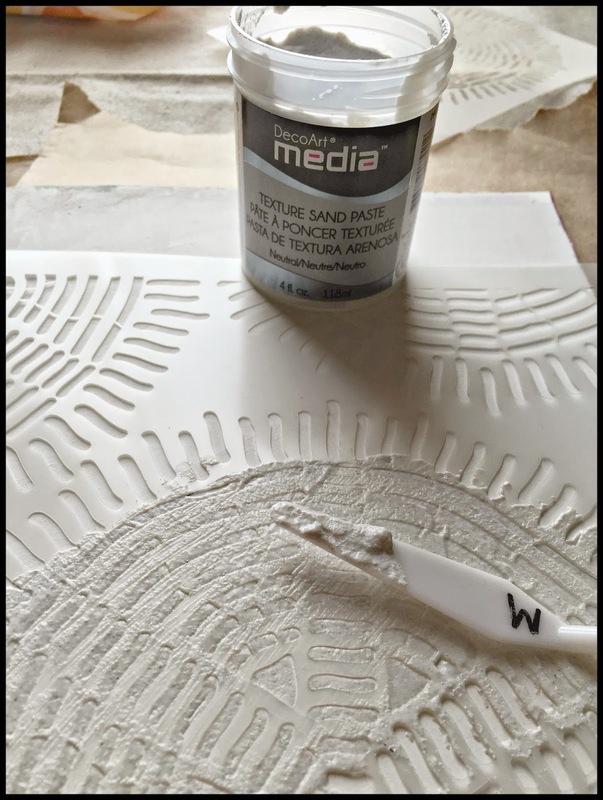 I used the Sand Paste from the DecoArt Media Line through the 9" x 12" Aztec Sun stencil to show its fabulous texture. WOW! Put two great products together and you get awesome! Here it is after I was done. 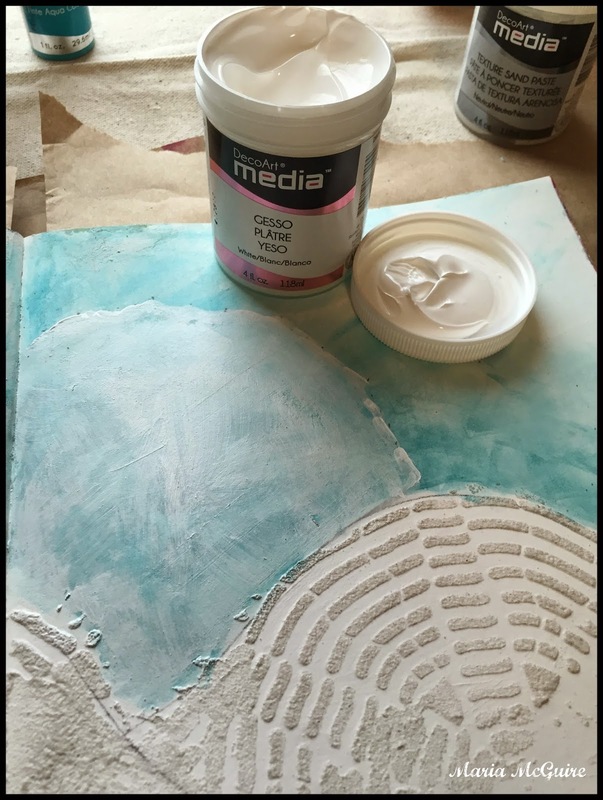 I stenciled and then also used some of the sand texture with a pallet knife. 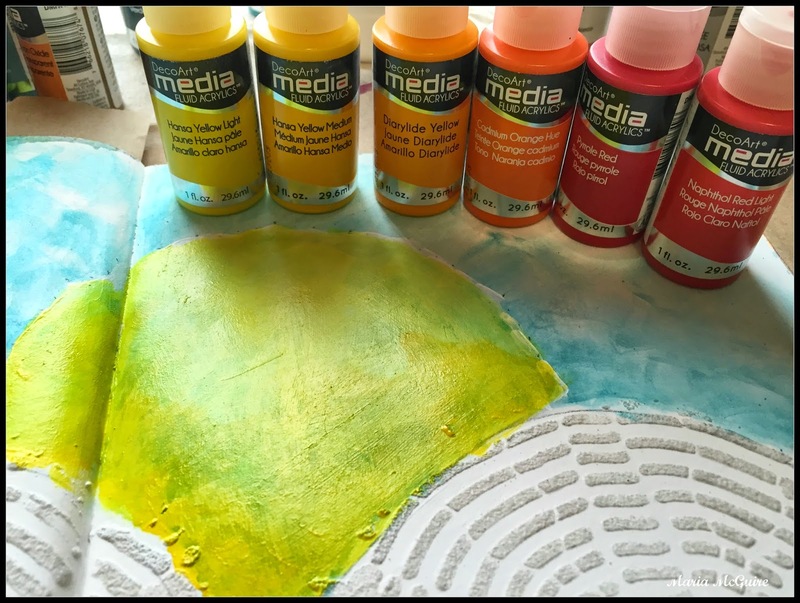 I added some of the DecoArt Gesso in the place where I wanted to focus on the sun and then Fluid Acrylics before I stenciled the sun over it. 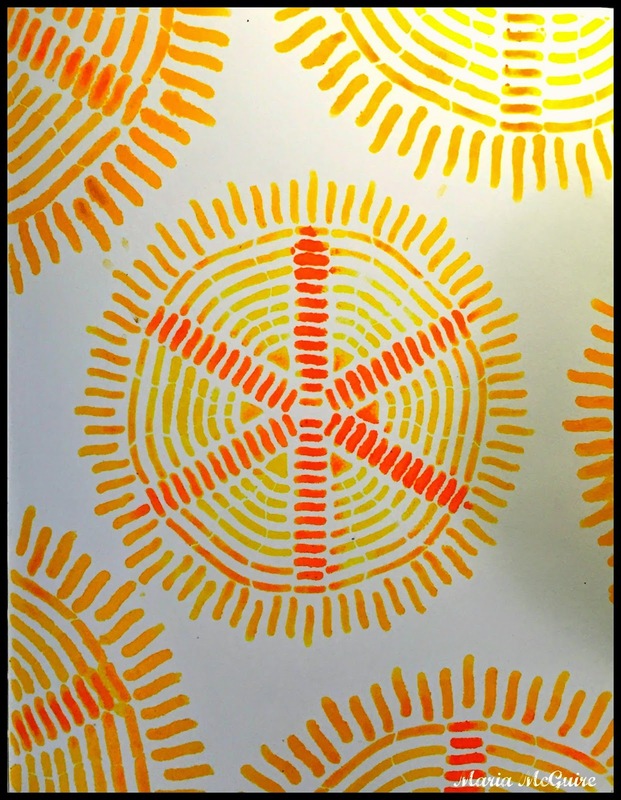 I added a bit of hand doodling to the stenciled sun. As for that sand texture--oh my! 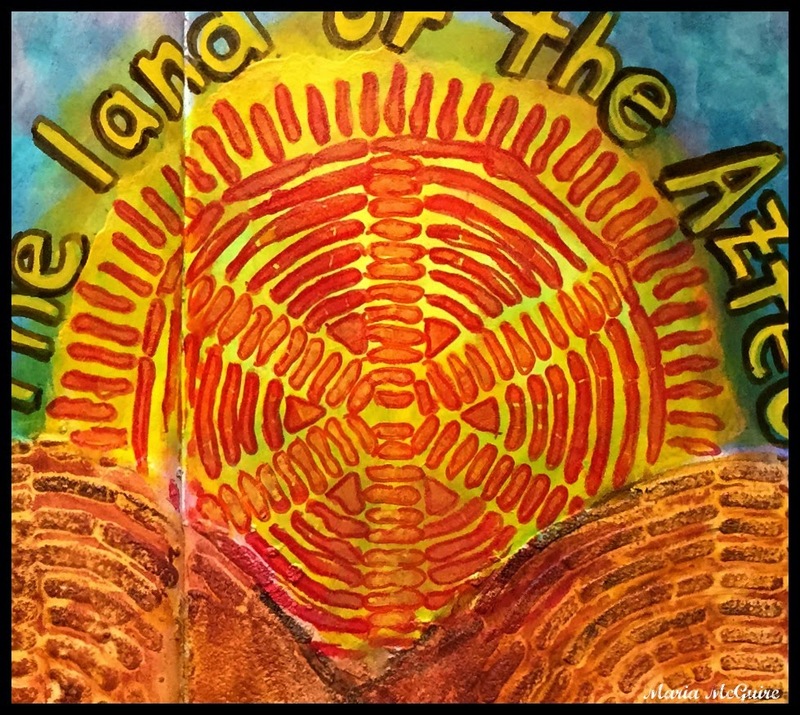 Here it is with yet more DecoArt Fluid Acrylics! 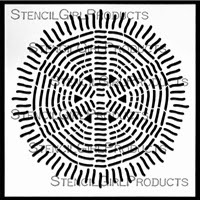 Here is a simple page I did to show you just the fantastic stencils! The middle sun is the 6" x 6" and the outside parts are from the 9" x 12". 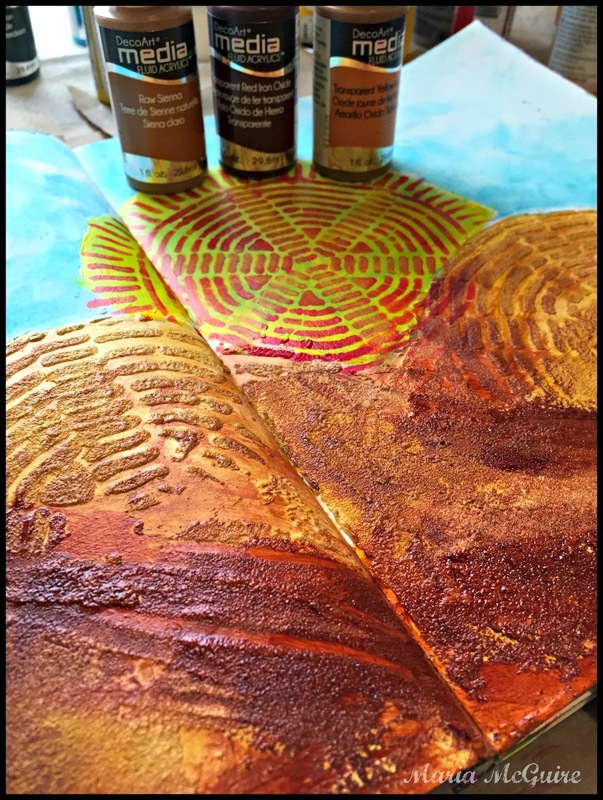 GORGEOUS colors and textures, Maria! What a fun new stencil! Love this! 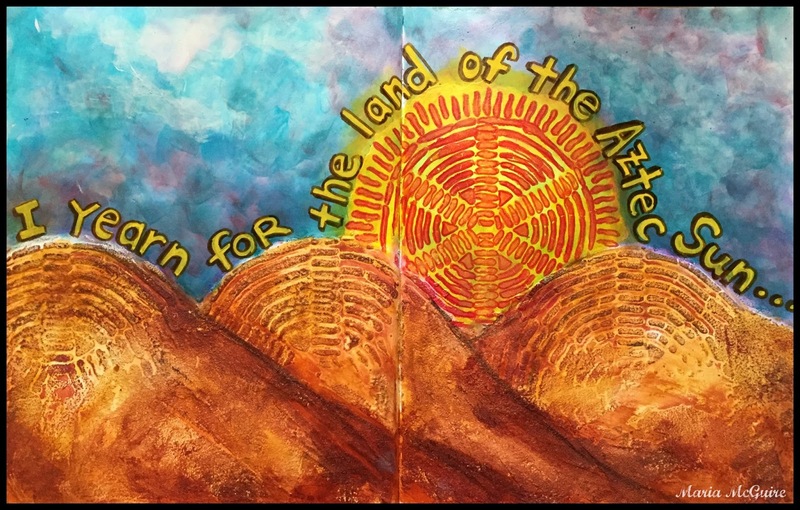 Fabulous colors and textures... beautiful page and I love how you created a scene with this. 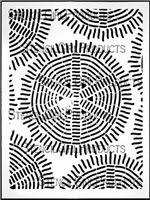 I can't wait to get these stencils... they're right up my alley!